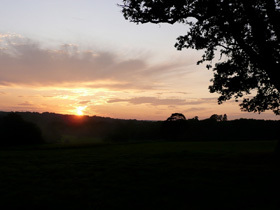 It was a lovely midsummer’s evening when I decided to brave it and take a ride in a hot air balloon. 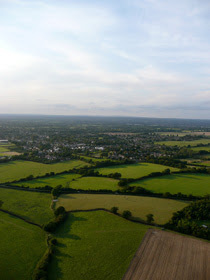 It was a challenge I had set myself to see how well I would cope, given my fear of heights, plus it offered the added benefit of gaining a bird’s eye view of the South Downs National Park. 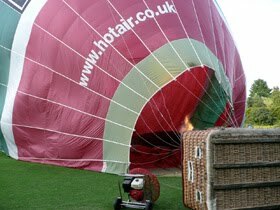 Seeing the balloon laid out in a park near the coastal city of Brighton, several minutes passed before enough hot air had been pumped into the ‘envelope’ to move the basket into an upright position. This enabled myself and the other passengers to negotiate the small slots on the side and eventually clamber into one of four spaces located around the central compartment, from where our pilot would control the flight! With the basket fully loaded, we took off and before you knew it everything from people to vehicles seemed like tiny specks on the landscape. Initially weary of looking straight down, I decided to get to know the other travellers. The cosiness of each compartment certainly called for being on first name terms with my fellow ‘high fliers’. Between the blasts of hot air from the burner, there was a real sense of tranquillity as we passed over fields, vineyards and a few very nice houses with swimming pools! We crossed close to a golfing green. 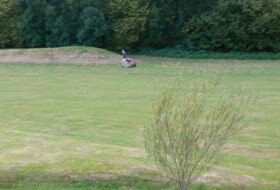 Though it was tempting to shout ‘fore’ to see the reaction, I thought better of it when I considered we were within striking distance of a well placed shot! 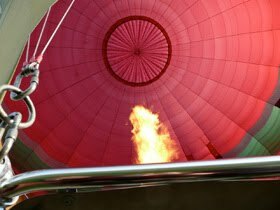 Then, I thought about the balloon manufacturer, Ultramagic, who, without the additional antics of passengers, must ensure the hot air balloon is up to the task of launching people to the skies and keeping them there safely. 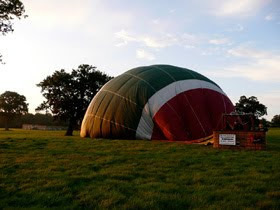 Ultramagic, are the second largest hot air balloon manufacturer in the world. 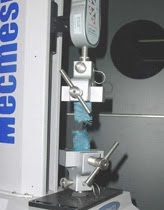 To guarantee the quality of their balloon cloth material, it must undergo stringent tensile and tear tests to quantify its strength and life expectancy. Fixtures are also subjected to quality checks to ensure they are able to withstand the forces placed upon them. Thankfully, the only safety hazard we encountered was clipping some trees as we made our descent, and landing with a positive, if somewhat abrupt, thump, ensuring we were still wide awake! Similar test principles hold true for parachutes. 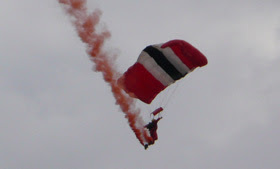 If you can imagine a skydiver in freefall, plunging to the earth at a frightening velocity, the importance of the parachute opening and smoothly gliding the skydiver back to earth safely is critical. The same tests, described above, can be applied here too, enabling the manufacturer to determine the material’s strength tolerance. Needless to say I am not ready to test that one out in the field just yet, but pleased with my last achievement, it may end up on the list! If you have any comments or questions about textile testing, please use the comments area shown. We look forward to hearing from you.